Dennis Cooper (born January 10, 1953) is an American novelist, poet, critic, editor and performance artist. He is perhaps best known for the George Miles Cycle, a series of five semi-autobiographical novels published between 1989 and 2000 and described by Tony O'Neill "as intense a dissection of human relationships and obsession that modern literature has ever attempted." Cooper grew up the son of a wealthy businessman in Arcadia, California. His first forays into literature came early, focusing on imitations of Arthur Rimbaud, Paul Verlaine, Marquis de Sade, and Charles Baudelaire. As he began his teenage years, he wrote poetry and stories on scandalous and often extreme subjects. At the age of fifteen, he began to plan an ambitious novel cycle. This project, which took Cooper nearly twenty years to realize, became known as The George Miles Cycle. Cooper was an outsider and the leader of a group of poets, punks, stoners, and writers. After high school he attended Pasadena City College and, later, Pitzer College, where he had a poetry teacher who was to inspire him to pursue his writing outside of institutions of higher learning. In 1976 Cooper went to England to become involved in the nascent punk scene. In the same year he began Little Caesar Magazine which included among other things an issue on and dedicated to Arthur Rimbaud. In 1978 with the success of the magazine, Cooper was able to found Little Caesar Press which featured the work of, among others, Brad Gooch, Amy Gerstler, Elaine Equi, Tim Dlugos, Joe Brainard, and Eileen Myles. In 1979, Cooper published his first book of poetry, Idols, and became the director of programming at an alternative poetry space, Beyond Baroque, in Venice, California. He held that position for three years. Cooper's second book of poetry, Tenderness of the Wolves, published in 1982, was nominated for the Los Angeles Times Book Prize. In 1983, Cooper moved to New York City, where he published his first book of fiction, a novella titled Safe, and began writing the cycle of five interconnected novels he had been planning since his mid-teens. In 1985 he moved to Amsterdam where he finished writing the first novel in the George Miles Cycle, Closer, which later won the first Ferro-Grumley Award for gay literature. While in Amsterdam he also wrote articles for different American magazines including Art in America, The Advocate, The Village Voice and others. He returned to New York in 1987 and began writing articles and reviews for Artforum, eventually becoming a contributing editor of the magazine. He began working on his next novel, Frisk. In the next few years Cooper worked on several different art and performance projects including co-curating an exhibit at LACE with Richard Hawkins entitled AGAINST NATURE: A Group Show of Work by Homosexual Men. After moving to Los Angeles from New York in 1990, Cooper collaborated with a number of artists, including composer John Zorn, painter Lari Pittman, sculptors Jason Meadows and Nayland Blake, and others. For several years, he was a contributing editor and regular writer for the rock music magazine Spin. 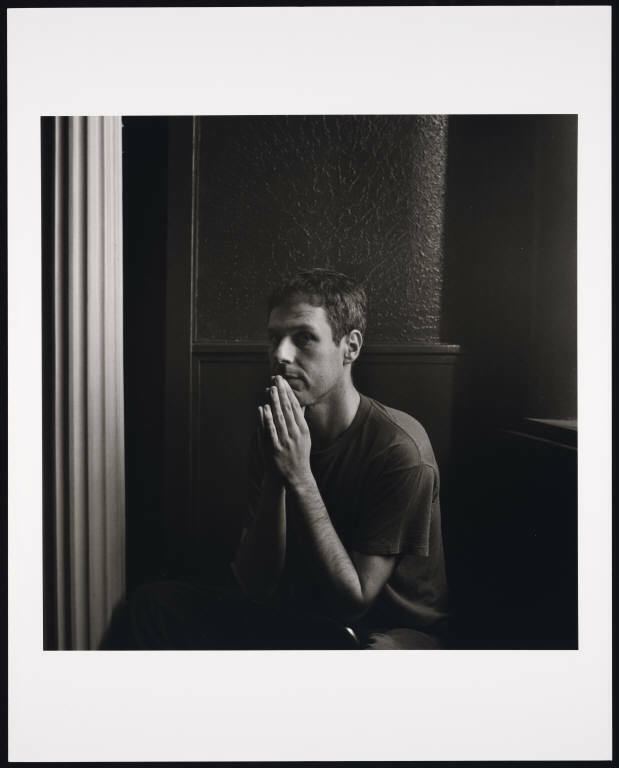 In 1994, he founded the "Little House on the Bowery" imprint for the independent publisher Akashic Books, which has published works by Travis Jeppesen, Richard Hell, James Greer, Trinie Dalton, Benjamin Weissman, Derek McCormack and others. He completed his ten years of writing the George Miles Cycle with the novel Period in the year 2000. The cycle has now been translated into 17 foreign languages and is the subject of numerous academic studies. They include two volumes of critical essays devoted to the cycle: Enter at Your Own Risk (2004), edited by Leora Lev, and Dennis Cooper: Writing at the Edge (2008), edited by Paul Hegarty and Danny Kennedy. Since then he has written three novels: My Loose Thread, God Jr., and The Sluts (winner of the 2007 Prix Sade in France and the 2005 Lammy Award for best book of gay fiction). Since the summer of 2005, Cooper has spent most of his time in Paris. While there, he has worked on his blog, which Cooper considers his current major artistic project, and has collaborated with French theater director Gisèle Vienne, composers Peter Rehberg and Stephen O'Malley, and the performer Jonathan Capdevielle on six works for the theater, I Apologize (2004), Un Belle Enfant Blonde (2005), Kindertotenlieder (2007), a stage adaption of his novella Jerk (2008), This Is How You Will Disappear (2010), and Last Spring, a Prequel (2011). These theater works have been highly acclaimed and continue to tour extensively in Europe, the UK, and Asia. While in France, Cooper finished a new book of poetry, The Weaklings, which was published in a limited edition by Fanzine Press in March 2008, a collection of short fiction titled Ugly Man (Harper Perennial, 2009), and Smothered in Hugs: Essays, Interviews, Feedback, and Obituaries (Harper Perennial, 2010). In 2011, Cooper completed his ninth novel, The Marbled Swarm. He played a small role in Christophe Honore's feature film Homme au Bain. The year saw the publication of three books by Cooper: The Marbled Swarm (Harper Perennial, November), Jerk/Through Their Tears (DisVoir, March), a book/CD collaboration with Gisèle Vienne and Peter Rehberg, and the reissue of his and the artist Keith Mayerson's 1997 graphic novel Horror Hospital Unplugged (Harper Perennial). Them, a performance art work Cooper originally created in 1984 with choreographer/director Ishmael Houston-Jones and composer/ musician Chris Cochrane, was restaged very successfully in New York and Utrecht. Them won a 2011 Bessie Award for best performance of the year, and it will be touring Europe and the United States in 2012. In 2012, Cooper and his frequent theater collaborator Gisèle Vienne co-curated a section of the annual Un Nouveau Festival at the Centre Pompidou in Paris entitled TEENAGE HALLUCINATION, featuring art exhibitions, films, lectures, live performances, concerts, an installation of the visual components of Cooper/Vienne's works to date, and performances of their theater pieces Last Spring, a Prequel (2011), Jerk (2008), and Cooper/Cochrane/Houston-Jones' Them. Last Spring, a Prequel also appeared in the 2012 edition of the Whitney Biennial. From March to June, Kunstverein Amsterdam hosted CLOSER: The Dennis Cooper Papers, a three-month celebration of Cooper's five-novel sequence The George Miles Cycle featuring an exhibition of Cycle-related materials, artworks especially commissioned for the occasion, lectures, performances, and the publication of a book. 2013 will see the publication of Cooper's latest poetry collection, The Weaklings (XL), by Sententia Books. The Pyre, his seventh theatrical collaboration with Vienne, composers Stephen O'Malley and Peter Rehberg, and lighting designer Patrick Riou, had its world premiere at the Centre Pompidou in May and is currently touring internationally. In addition to their United States editions, Cooper's novels and books of poetry have been published in Sweden, Finland, Denmark, Norway, the Netherlands, France, Germany, Spain, Portugal, the United Kingdom, Italy, Croatia, Hungary, Israel, China, Japan, and Lithuania. Cooper's work has been acknowledged as an influence on a number of younger writers, including Travis Jeppesen, Tony O'Neill, Noah Cicero, Dominic Lyne and Poppy Z. Brite. Cooper's poetry, including the first poem he ever wrote (about David Cassidy) appear in the film Luster as the work of lead character Jackson. American indie rock band Deerhunter, and grindcore act Pig Destroyer have both cited Dennis Cooper as a lyrical influence. Cooper has also influenced a number of artists such as Jonathan Mayhew, Math Tinder, Lizz Brady, Daniel Portland, Jared Pappas-Kelley, Kier Cooke Sandvik, Ken Baumann, Blair Mastbaum, which he has included in exhibitions such as the Weaklings or who he has showcased over the years. Within his work Cooper is often inspired and quotes from underground and independent music; as with the lyrics of the band Hüsker Dü in the novel Try, and the naming of the 1992 curated show The Freed Weed, from a compilation by the band Sebadoh - which has been discussed in a number of interviews and analyses.